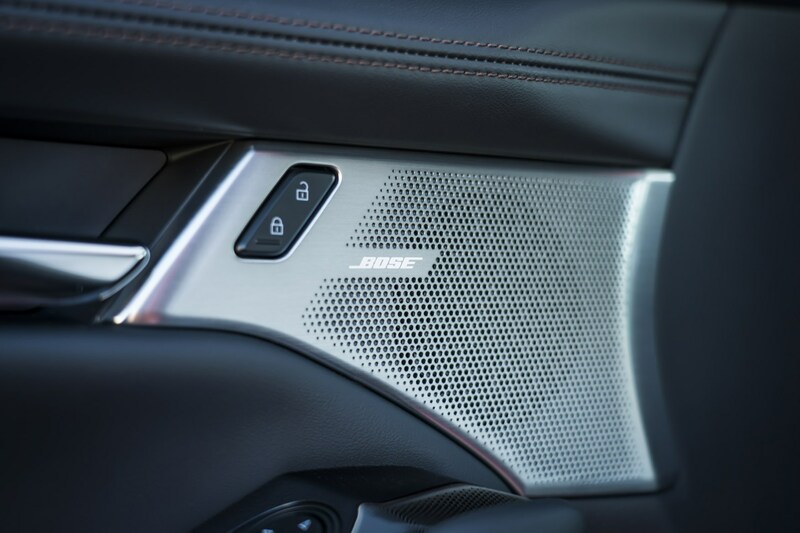 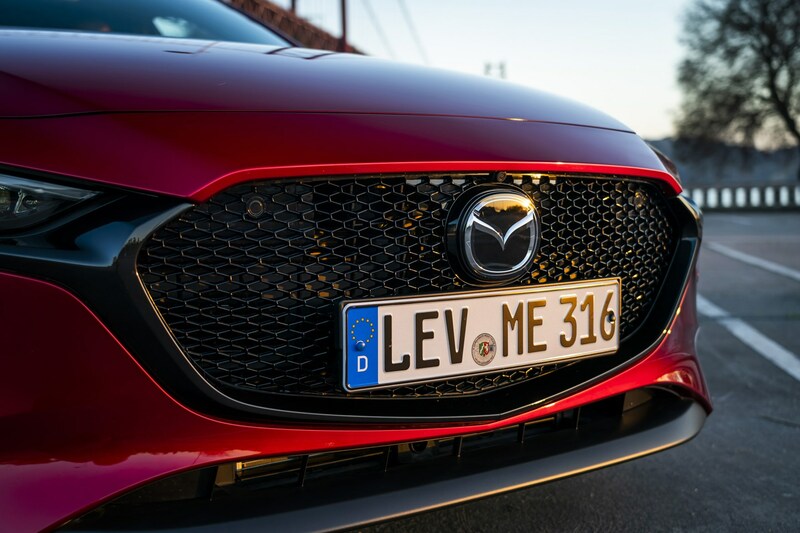 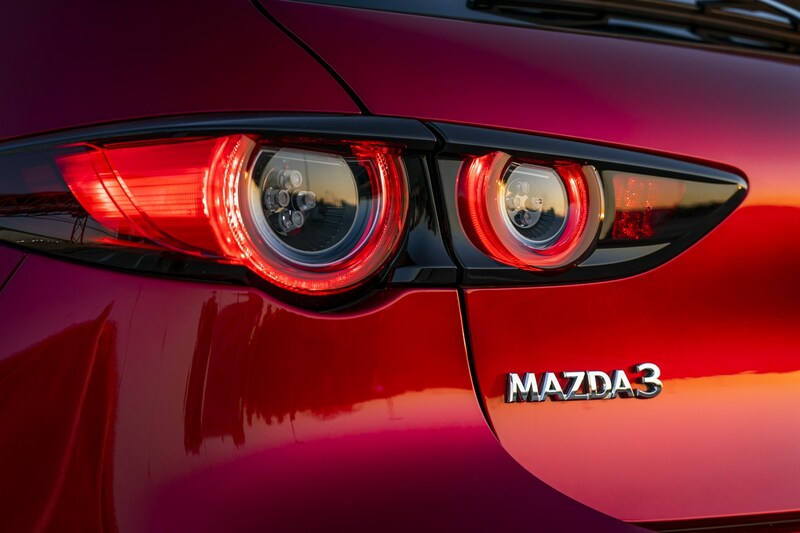 Mazda is unapologetic about doing things differently, and with this latest 3 it does exactly that. 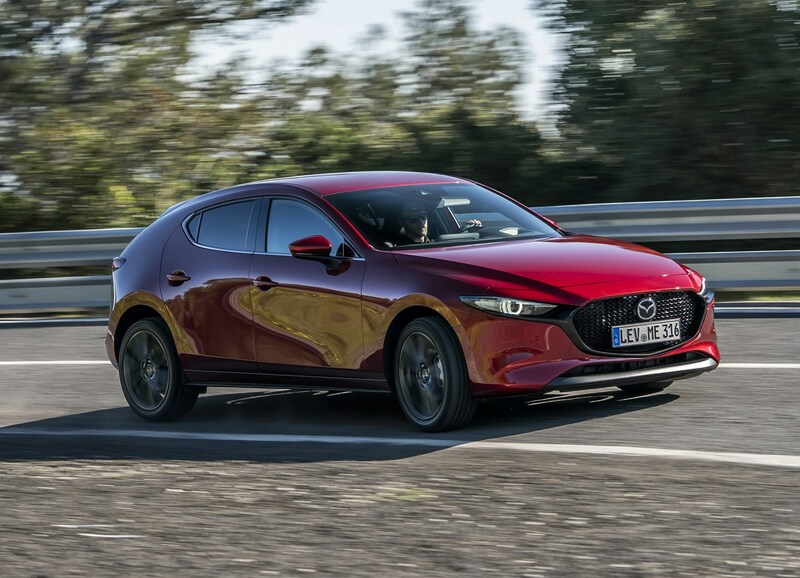 From its range of naturally aspirated (non-turbocharged) petrol engines to its striking styling, the 3 aims to offer buyers an alternative to the usual range of European hatchbacks. 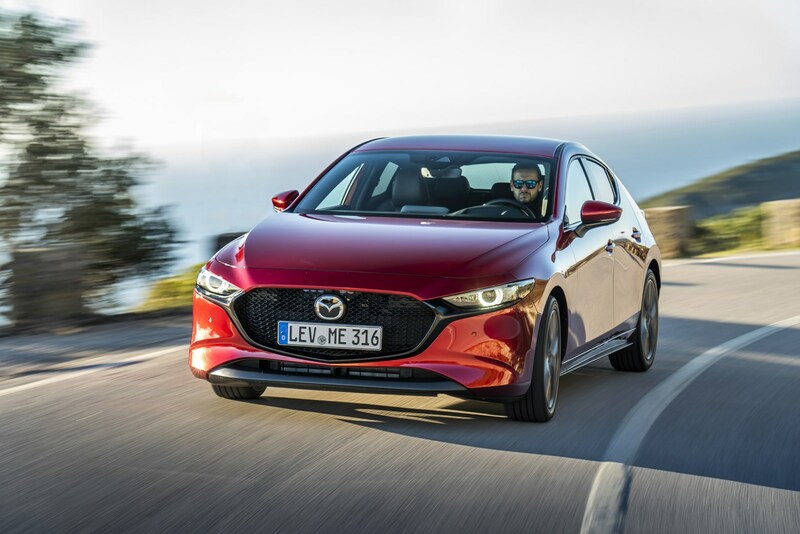 Competing in the family hatchback sector it’s up against some tough rivals - the Ford Focus, VW Golf, Honda Civic and countless others. 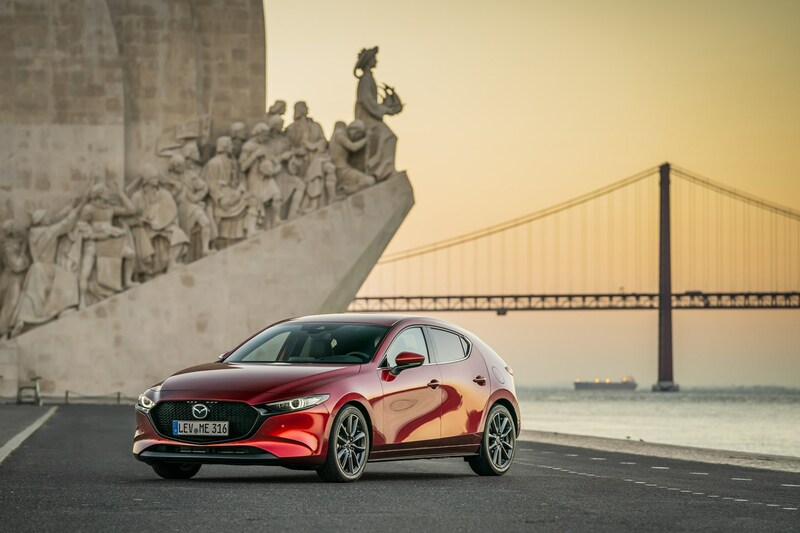 Mazda here is focusing on the driver, bucking some now industry-wide conventions in the process. 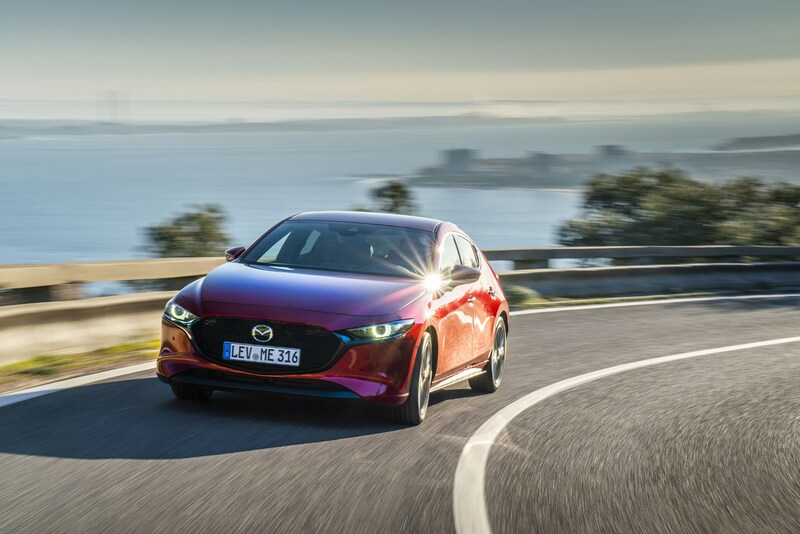 Just two engines are available at launch in May 2019 – a 122hp 2.0-litre petrol and a 116hp 1.8-litre diesel. 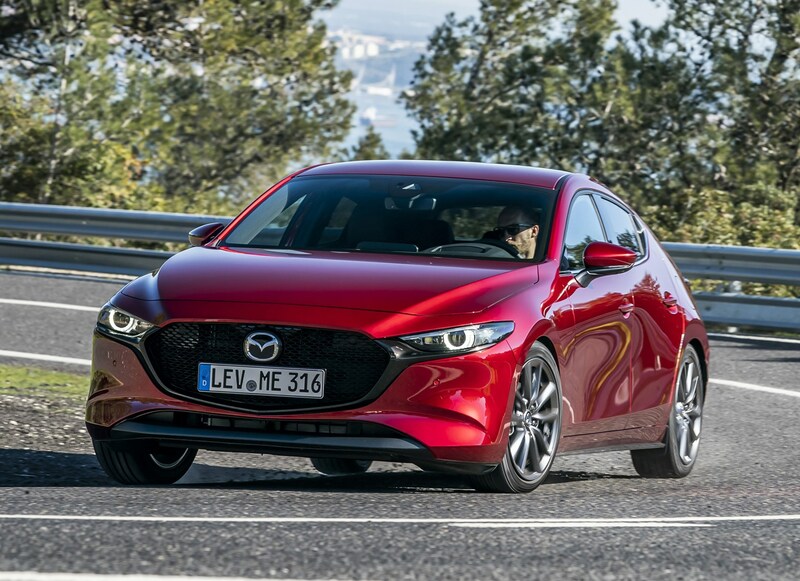 The petrol isn’t turbocharged like most of its rivals but uses mild hybrid technology for a small pick-me-up. 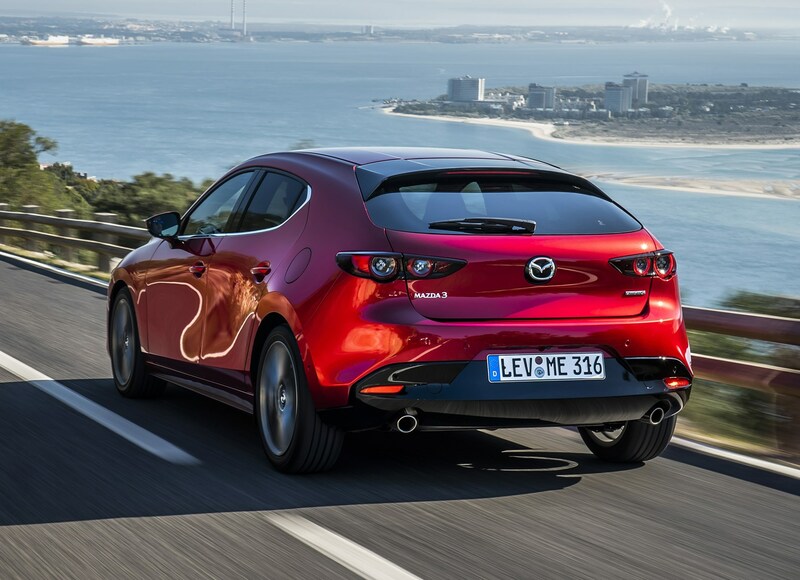 Given current trends, both of the 3’s engines are quite large capacity given their low total power output. 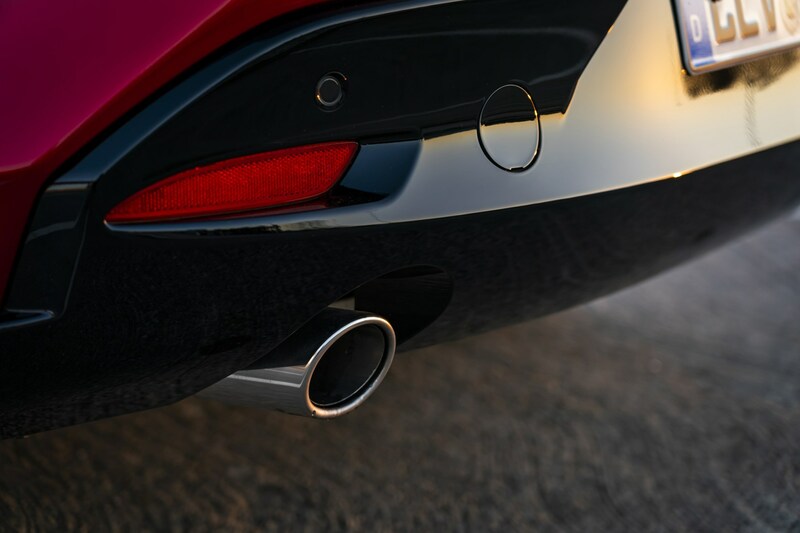 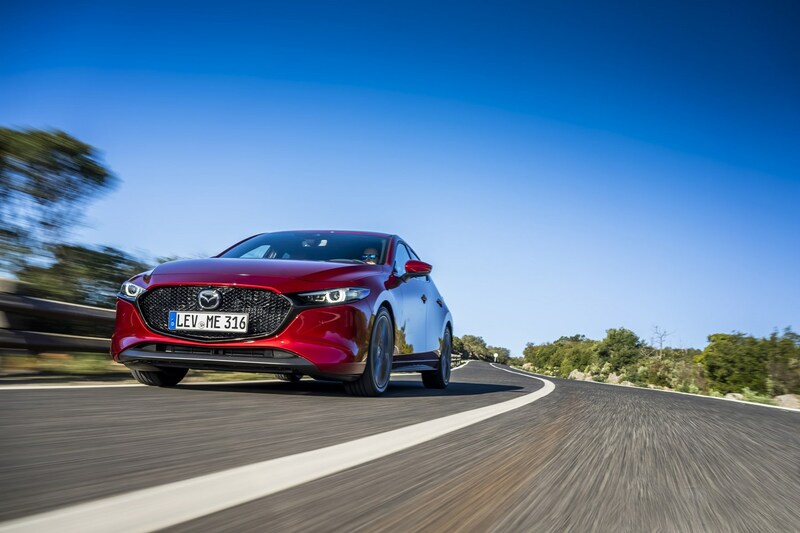 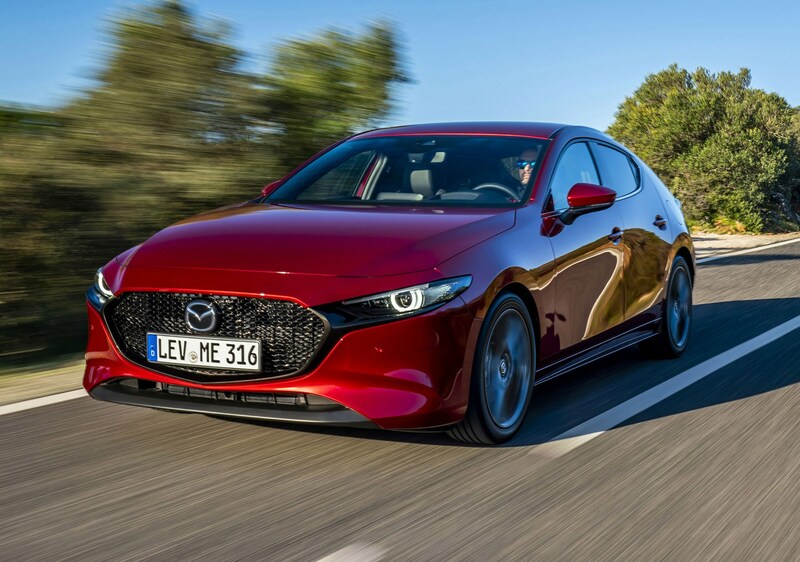 We’ll have to wait until the end of 2019 for Mazda’s all-new petrol engine technology to be offered on the 3. 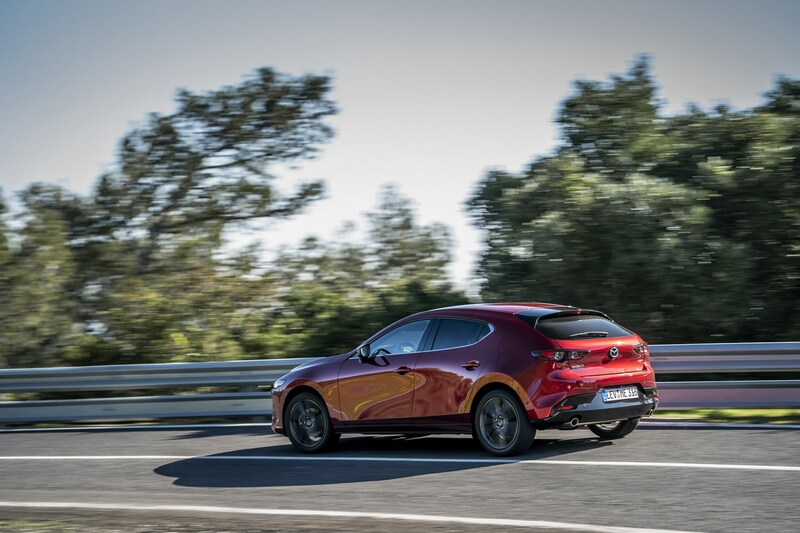 Named ‘Skyactiv-X’ the engine has the rough tagline of providing the fuel efficiency and torque of a diesel mated with power and high-revving nature of a petrol engine. 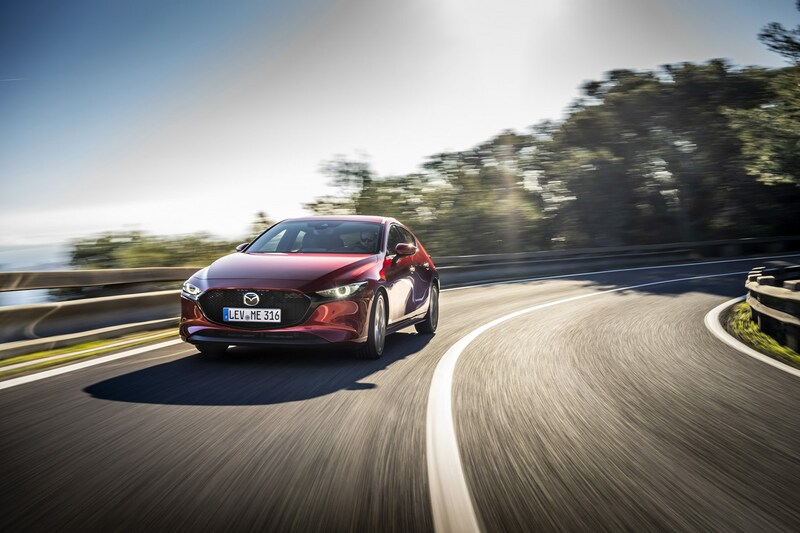 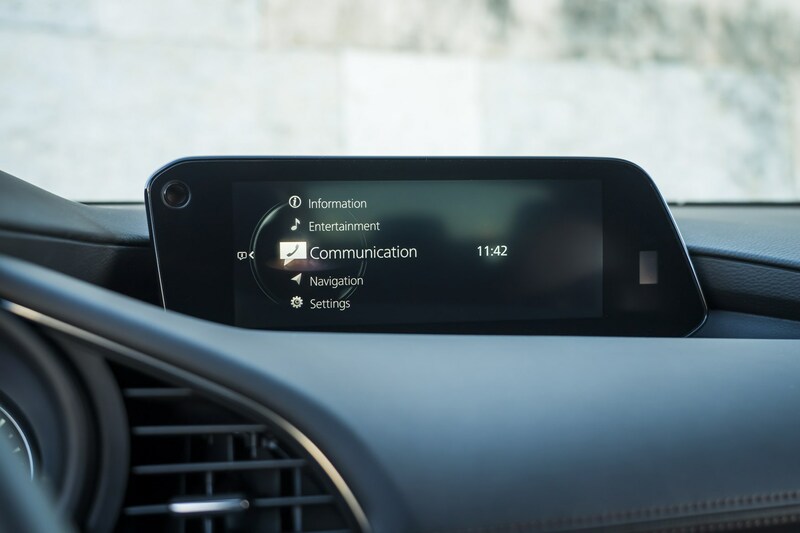 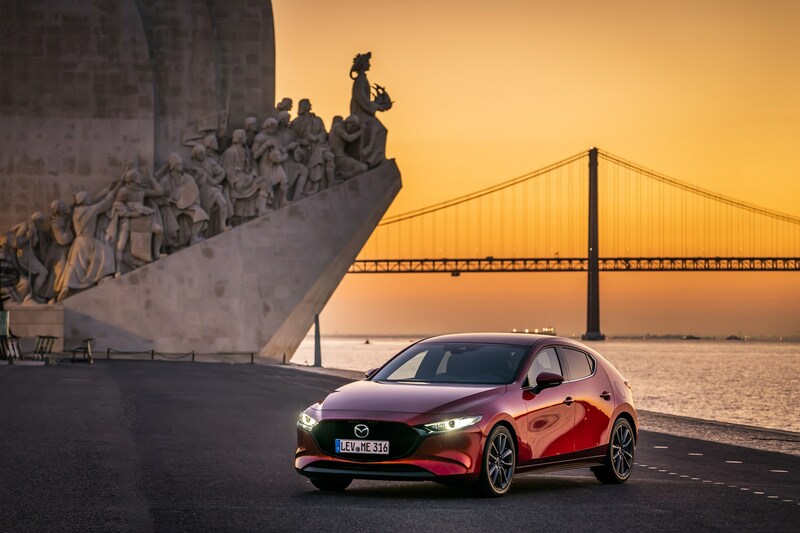 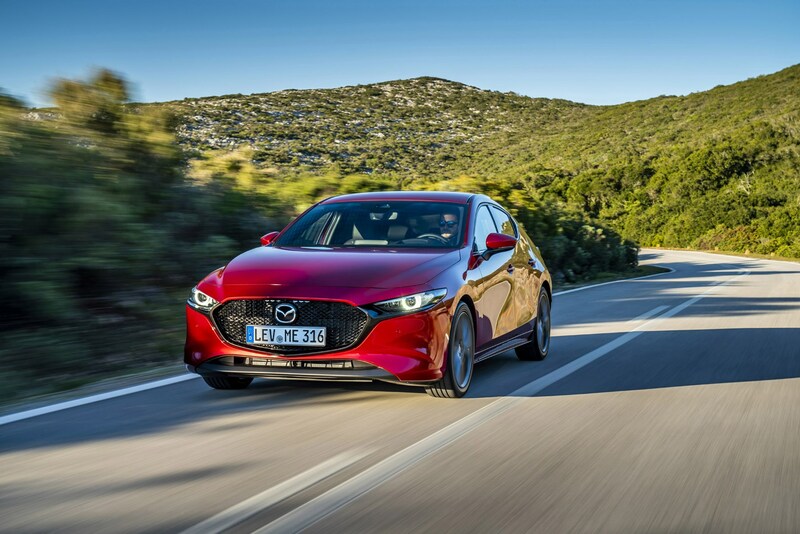 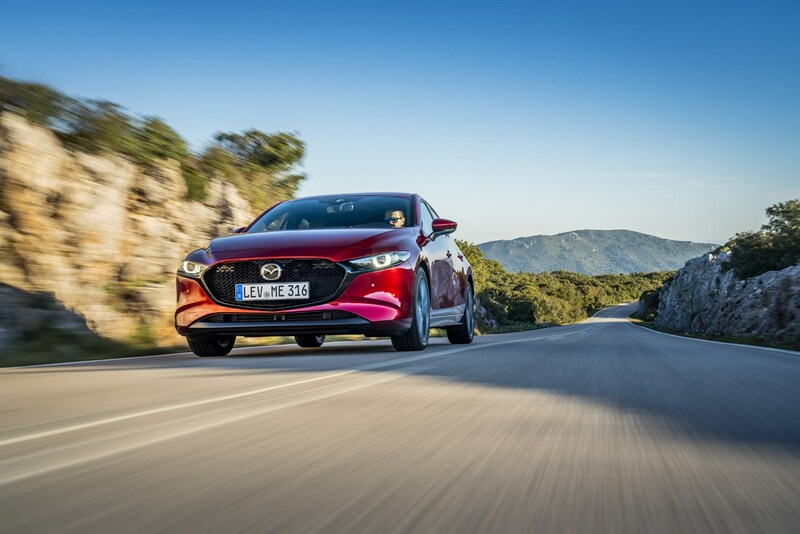 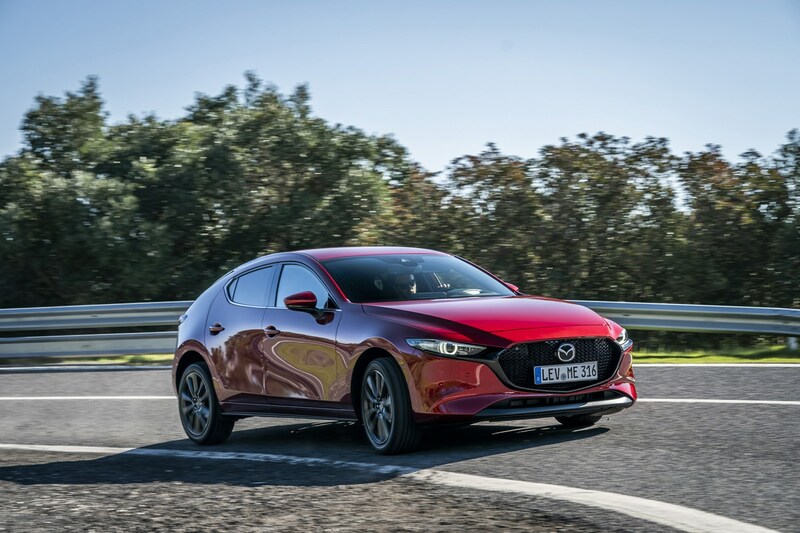 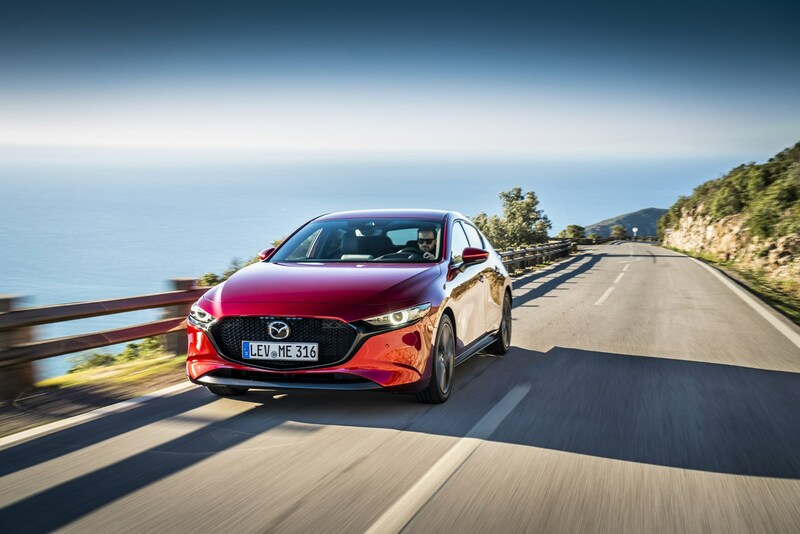 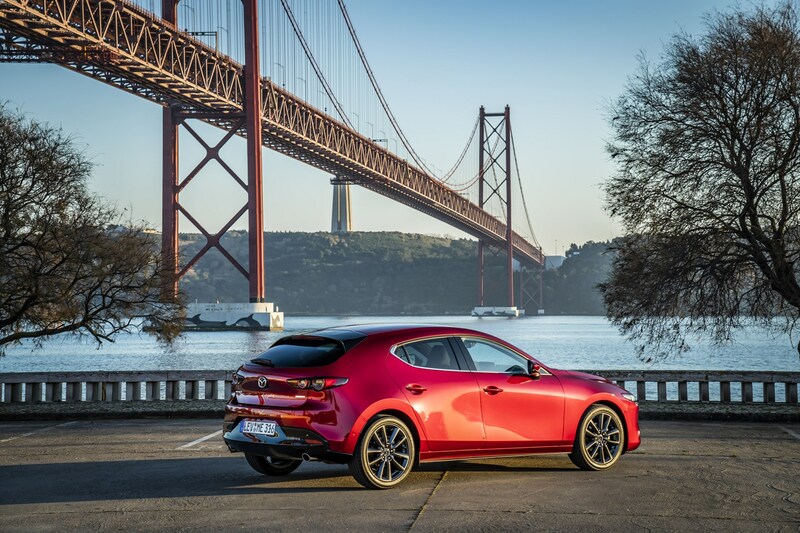 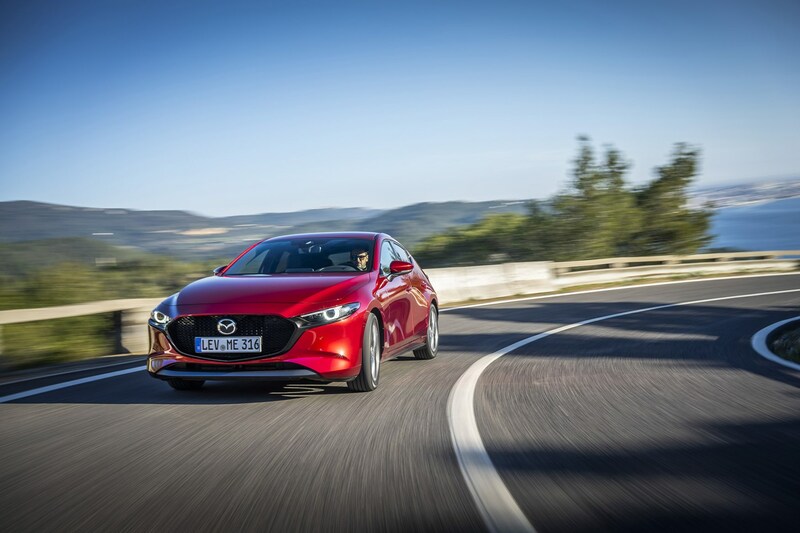 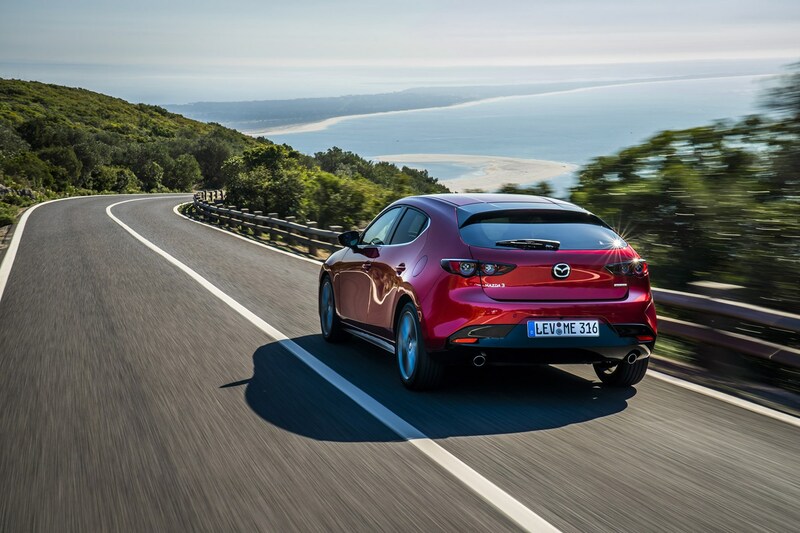 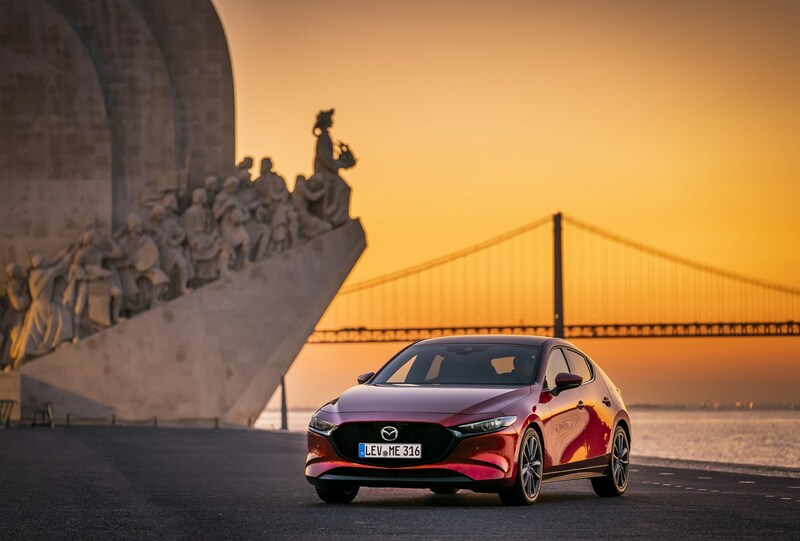 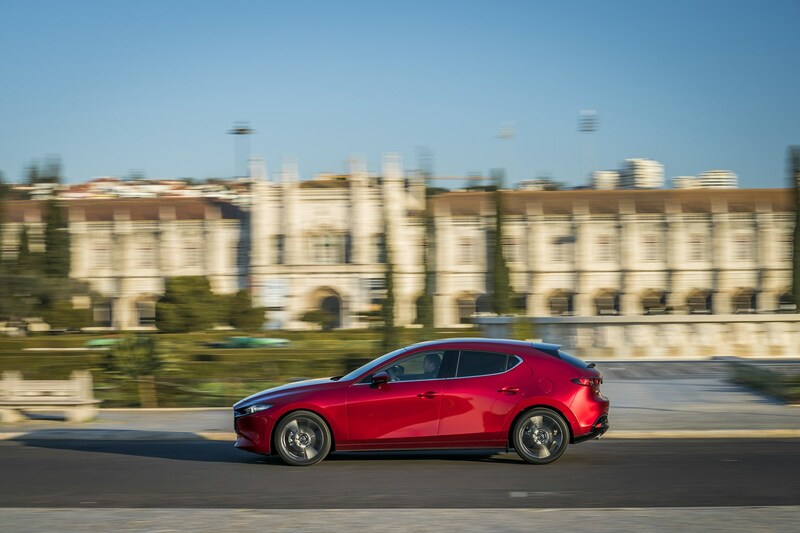 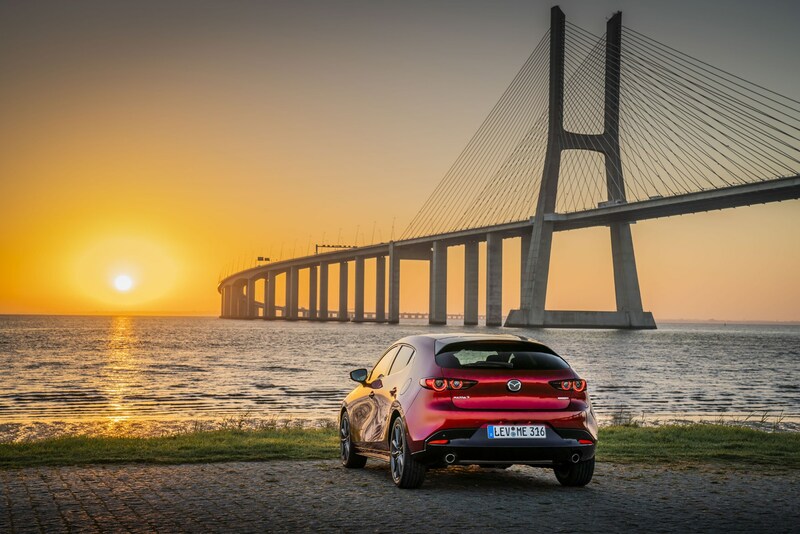 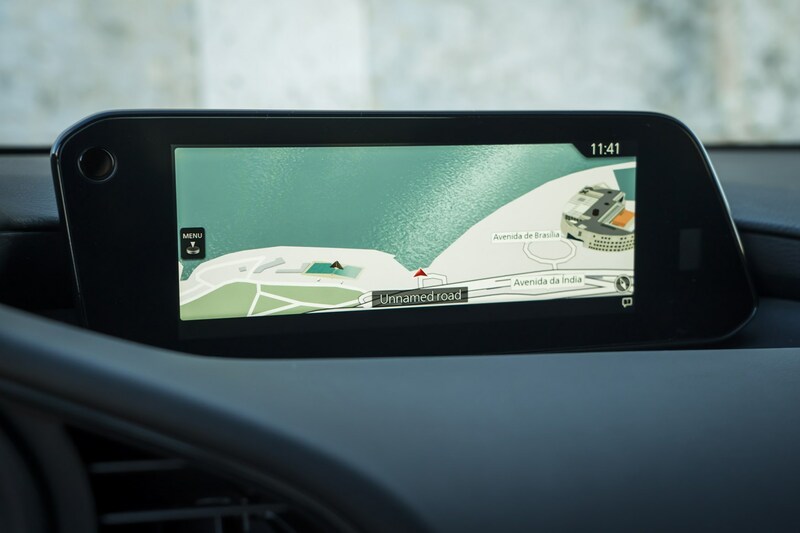 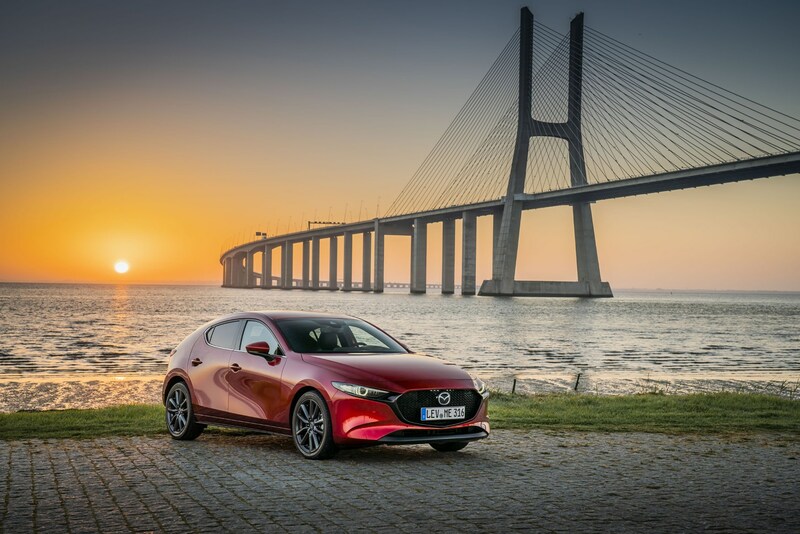 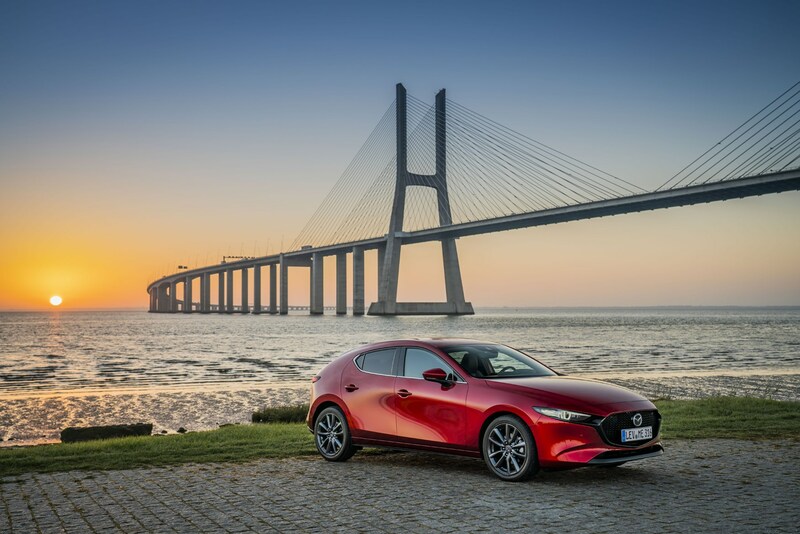 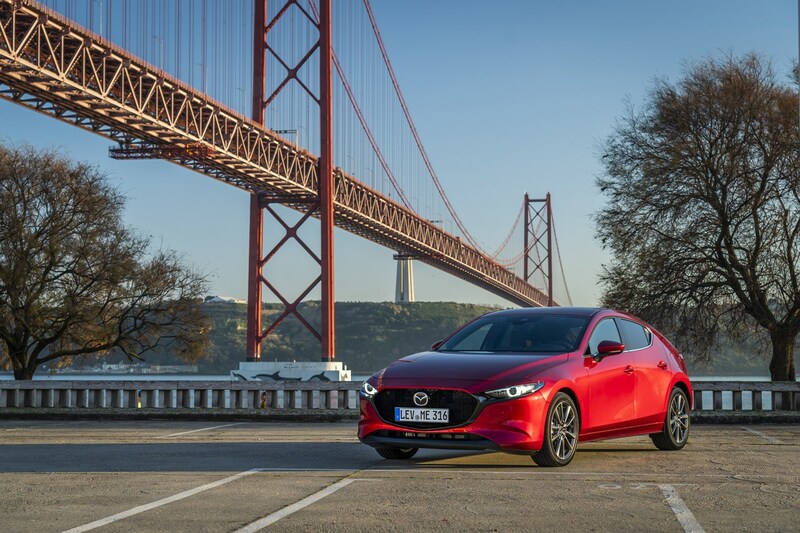 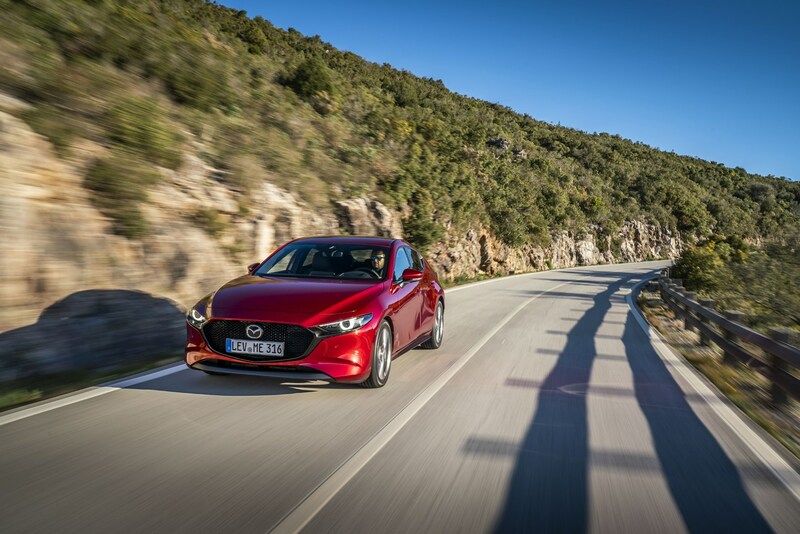 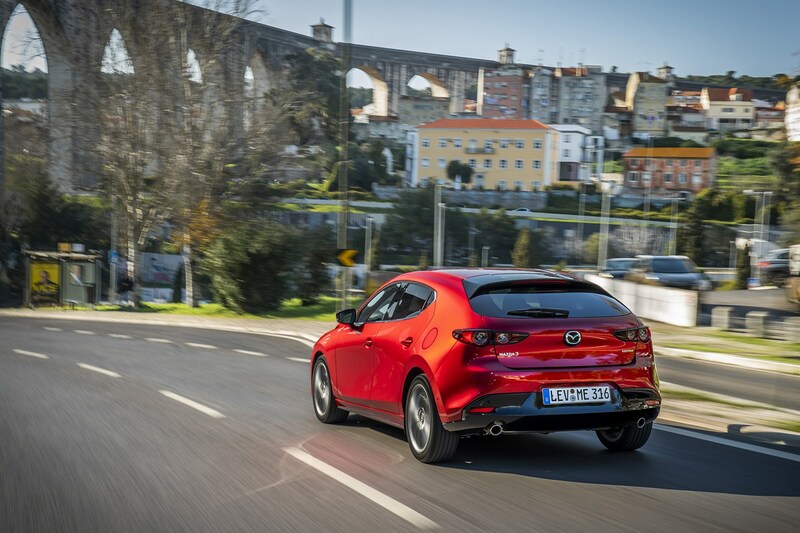 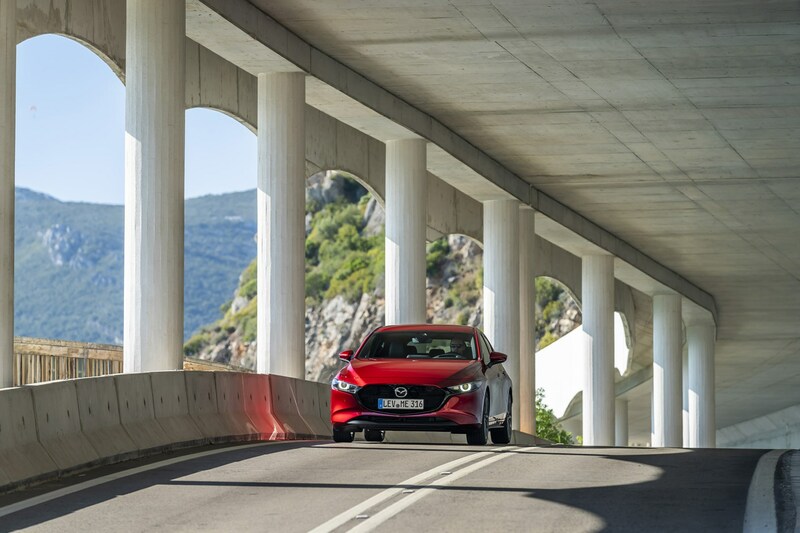 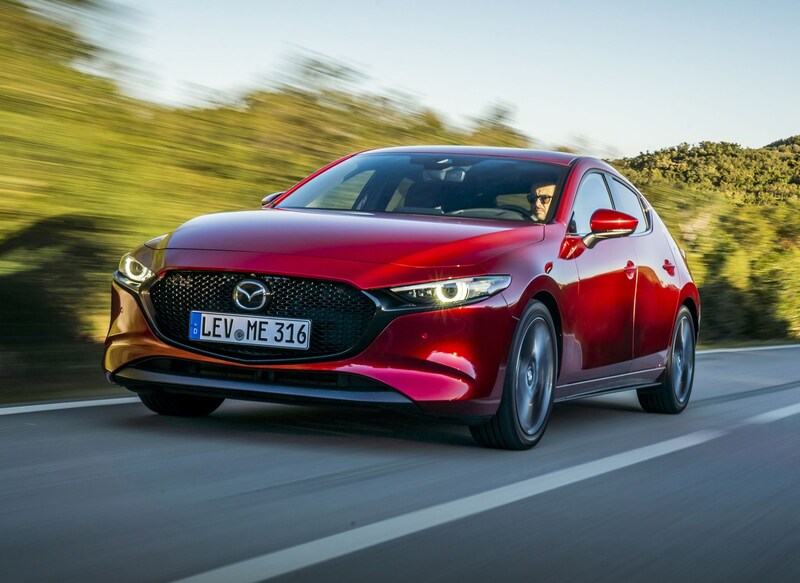 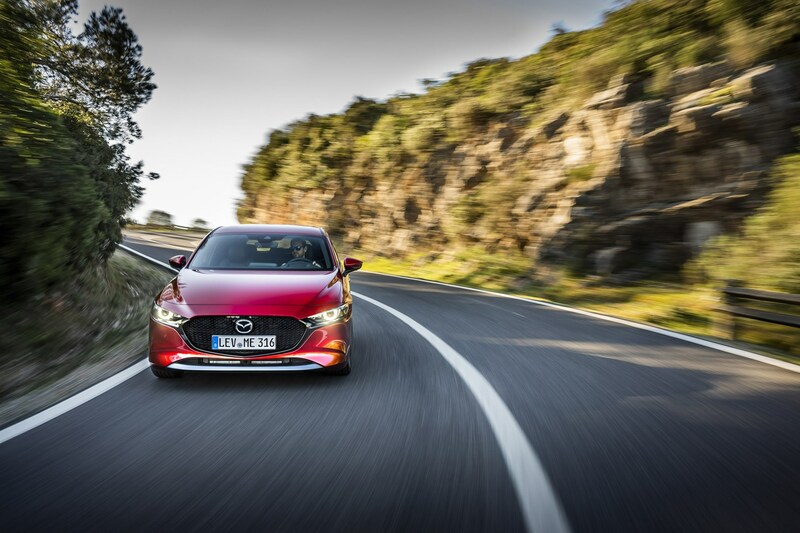 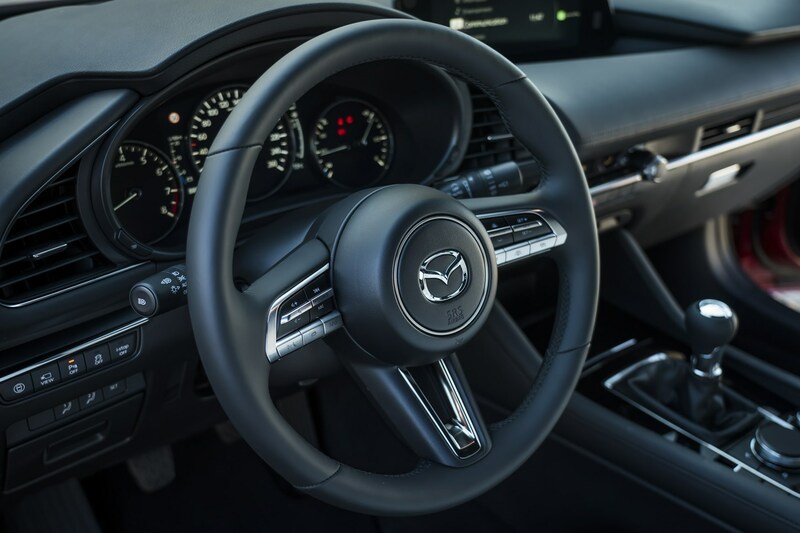 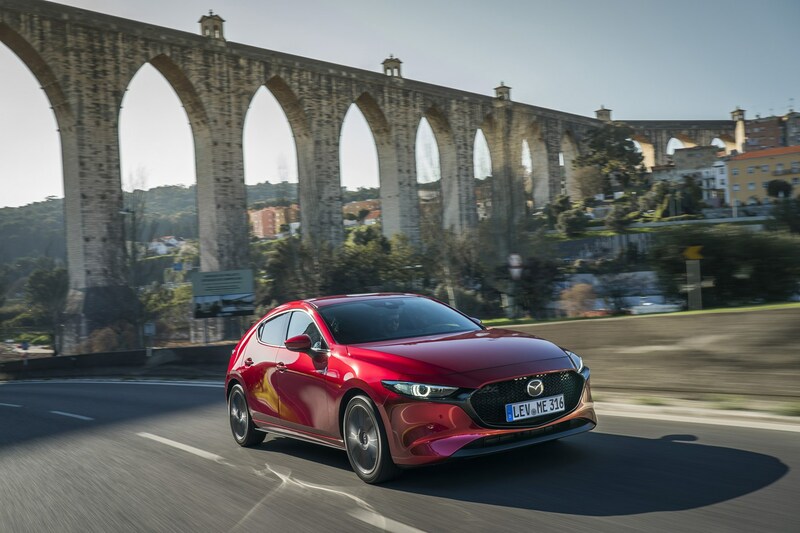 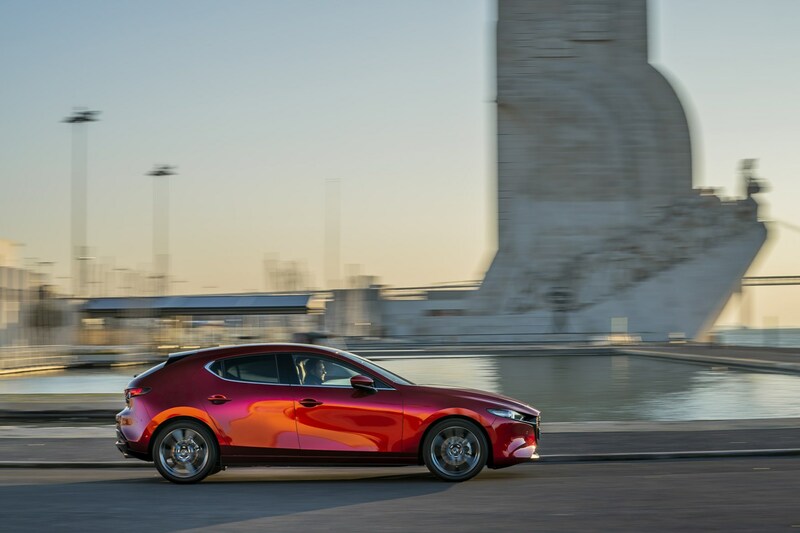 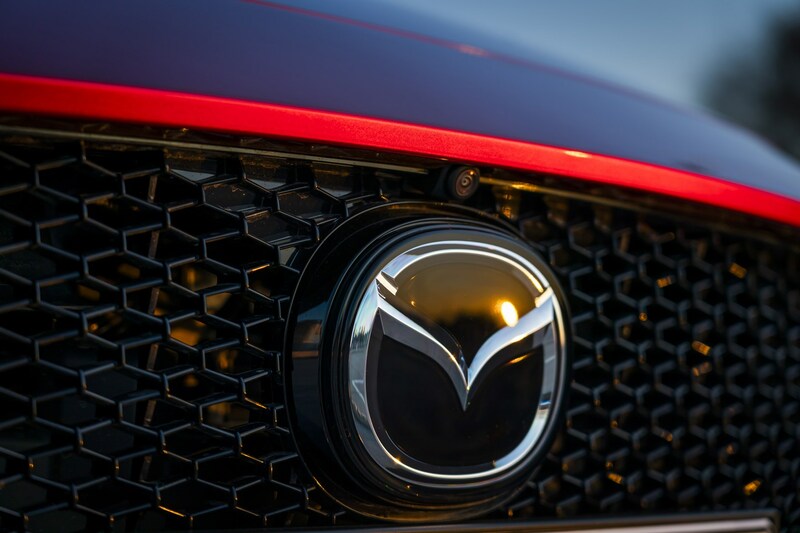 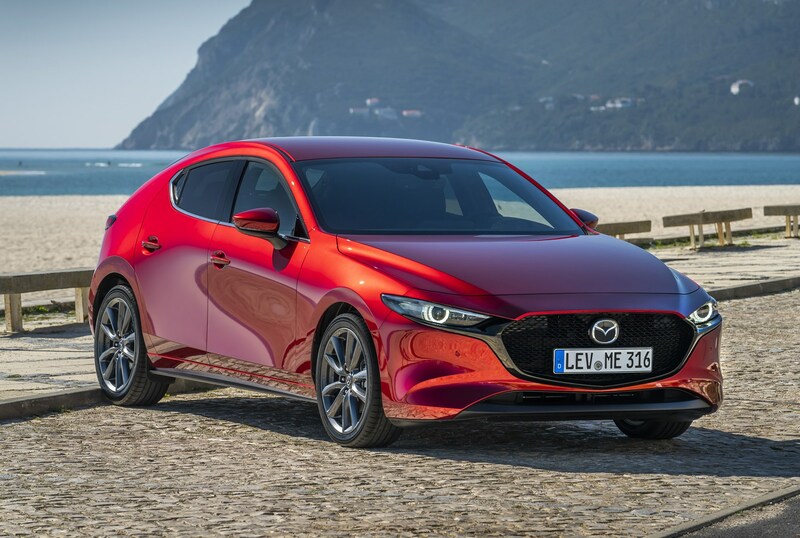 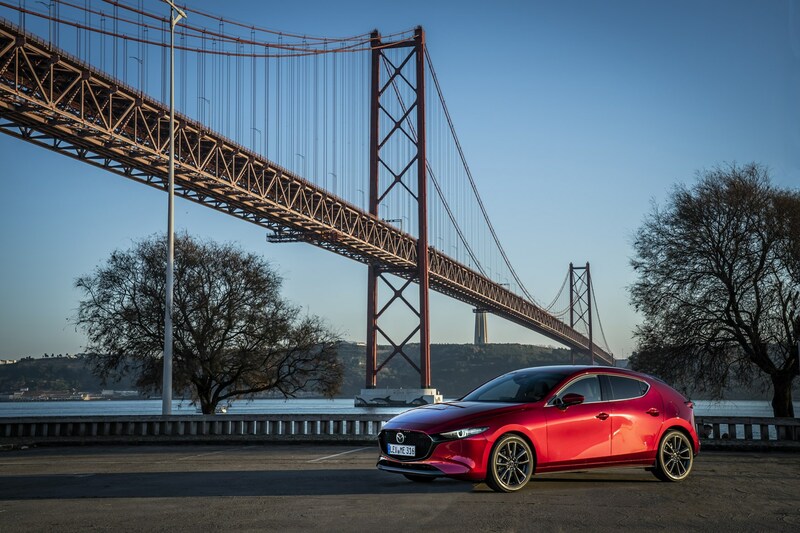 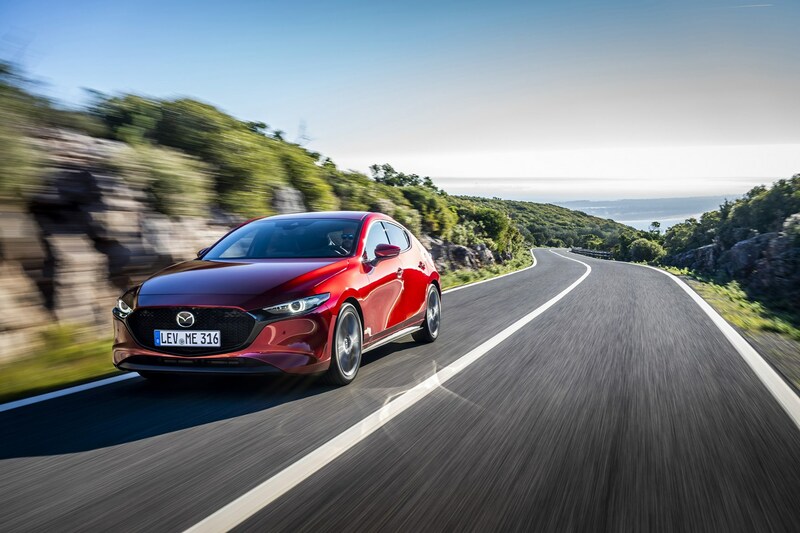 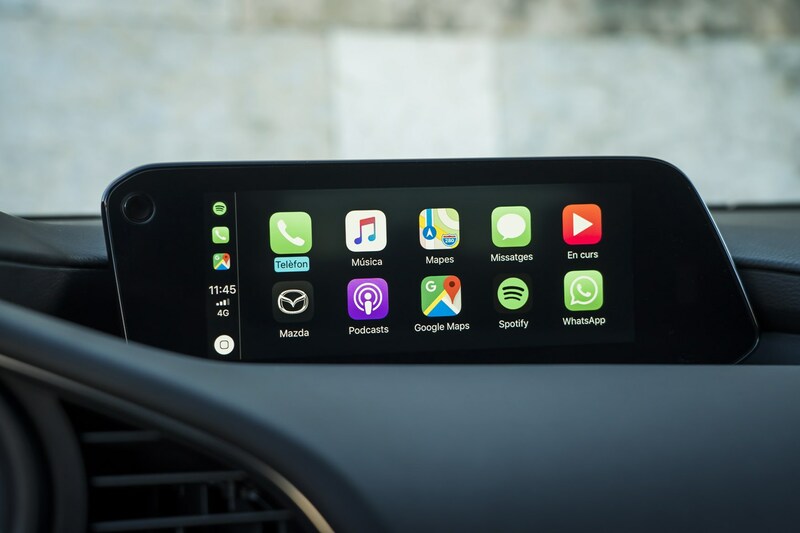 Every Mazda 3 available in the UK is armed to the teeth with safety technology first and foremost and every one even has a head-up display as standard, as Mazda says it means less distractions for the driver. 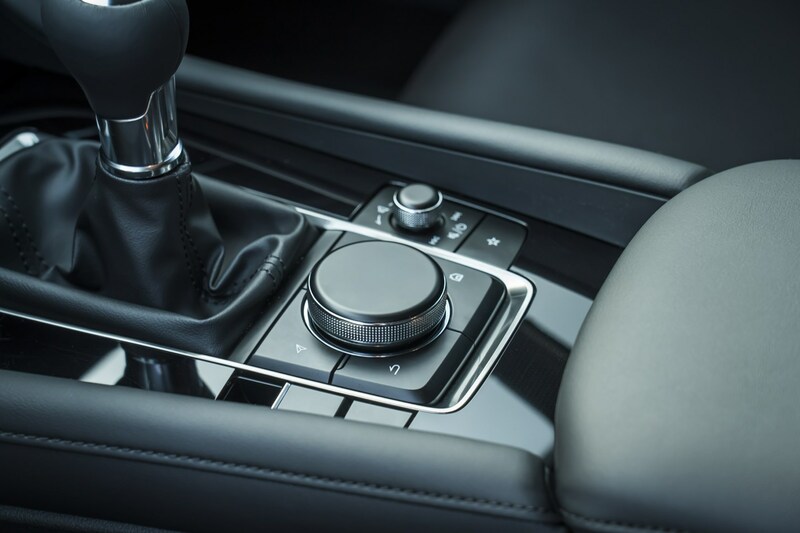 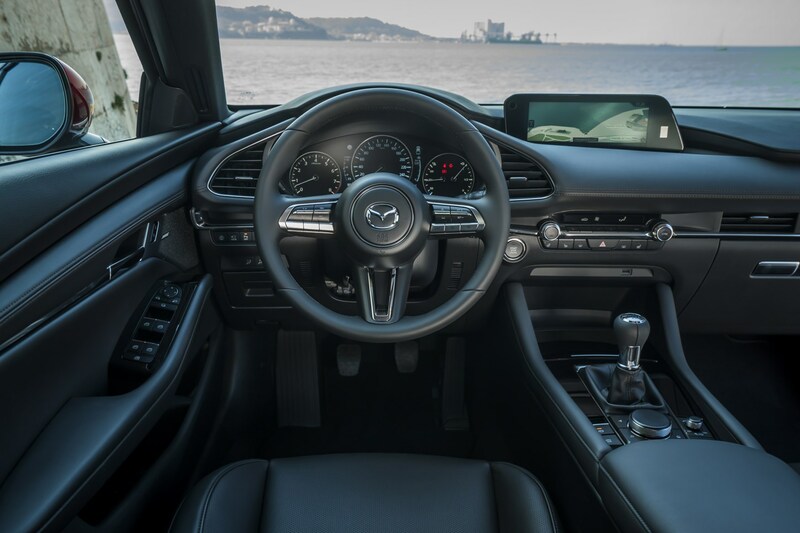 Higher-spec cars have equipment like larger 18-inch alloys, a 360-degree parking camera system and electrically adjustable front seats. 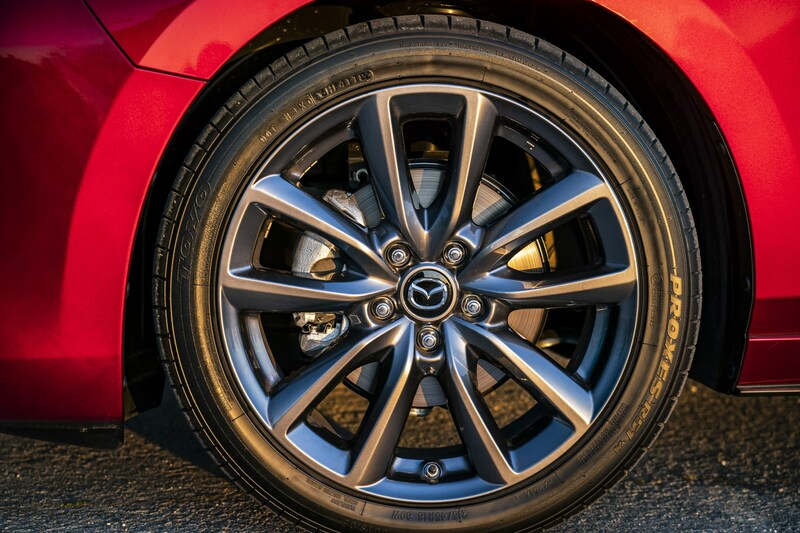 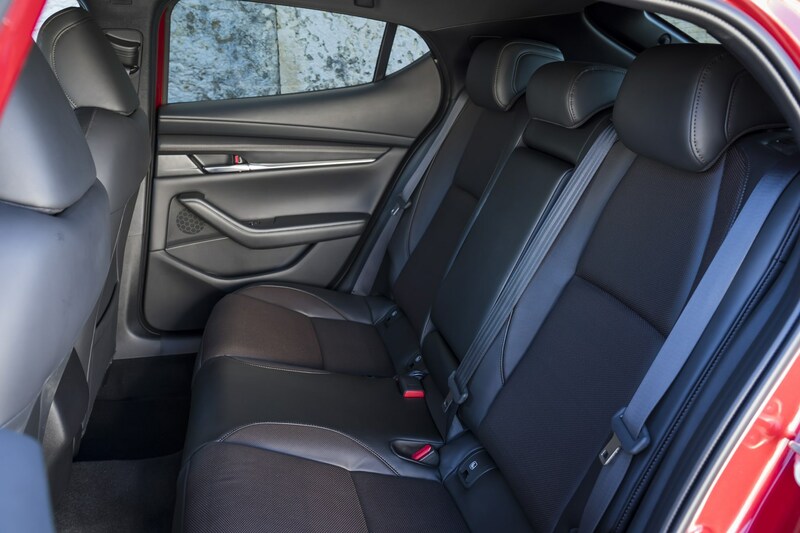 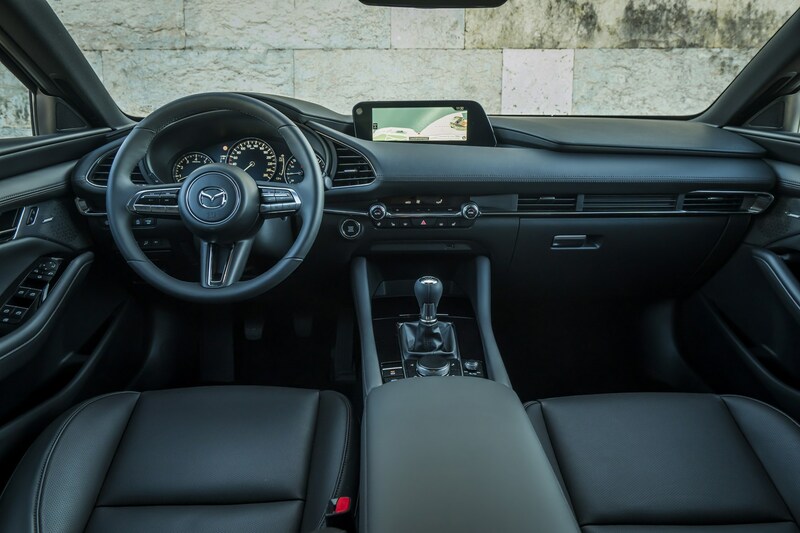 In terms of practicality, the Mazda 3 won’t win any accolades for the most space or most flexible interior. 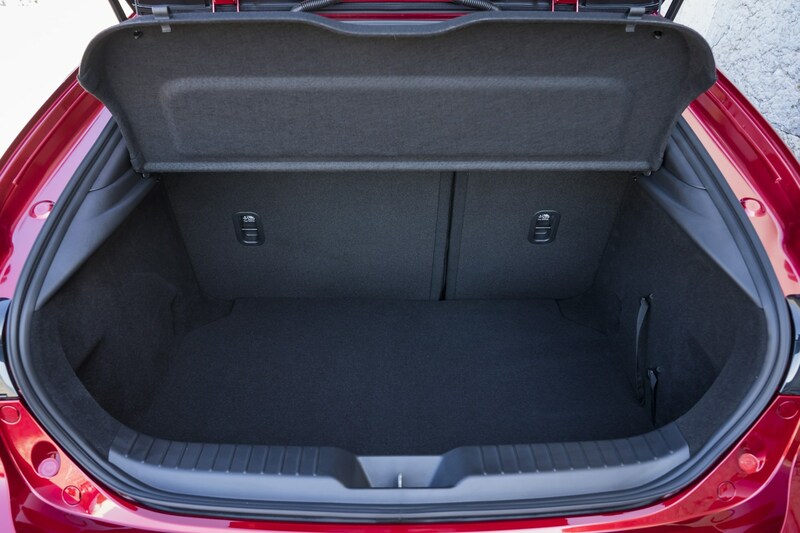 The rear seats are cramped for full-sized adults and the boot (in terms of outright volume) can be beaten by most of its significant rivals. 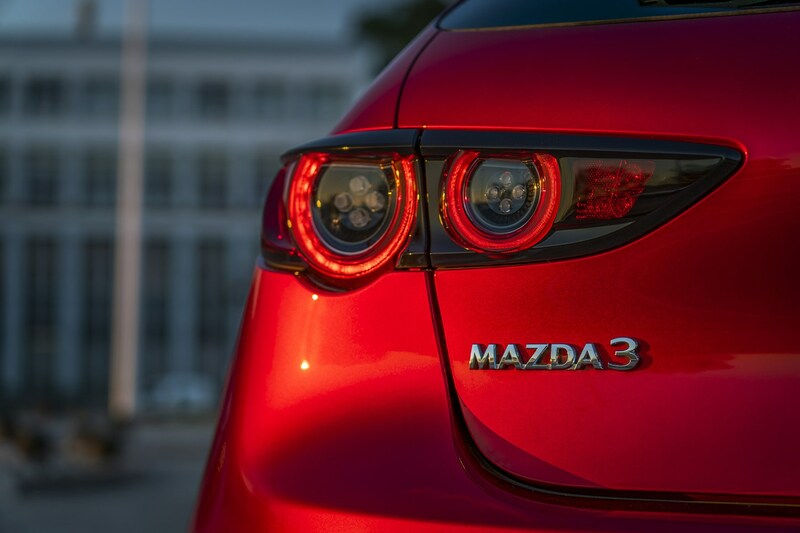 Should you buy a Mazda 3? 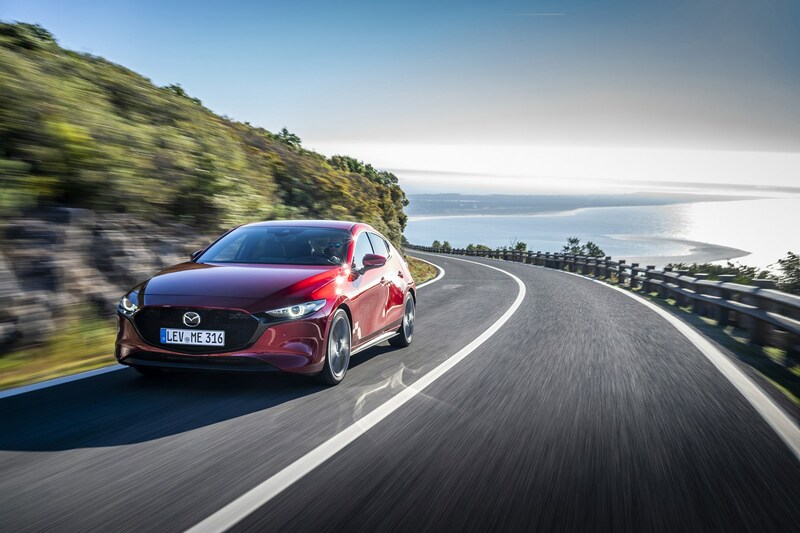 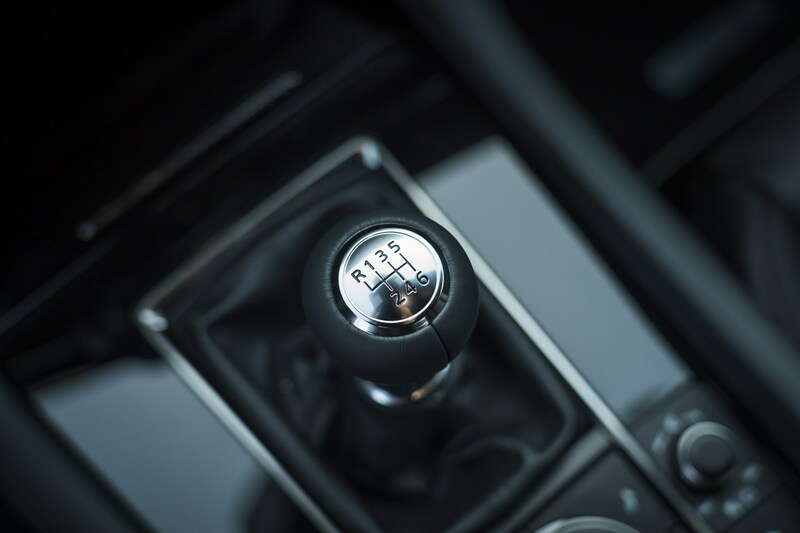 Put aside some concerns about outright practicality and focus on the driving and the 3 has what it takes to lead the class. 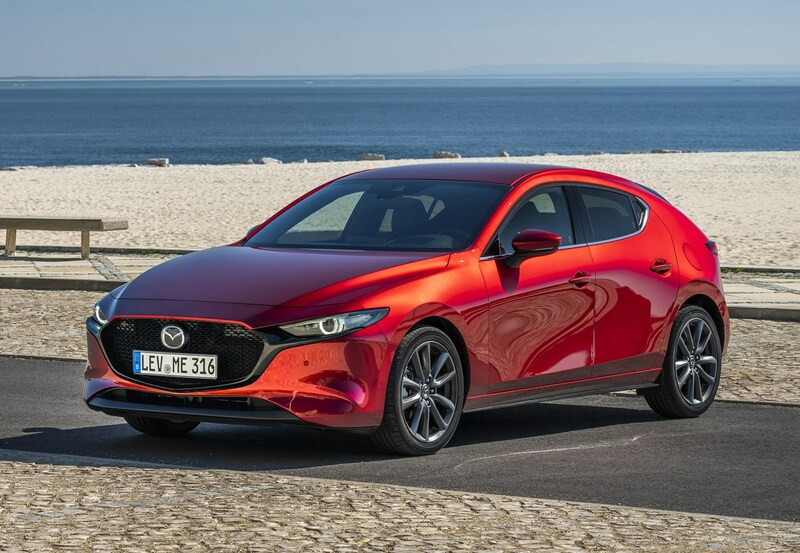 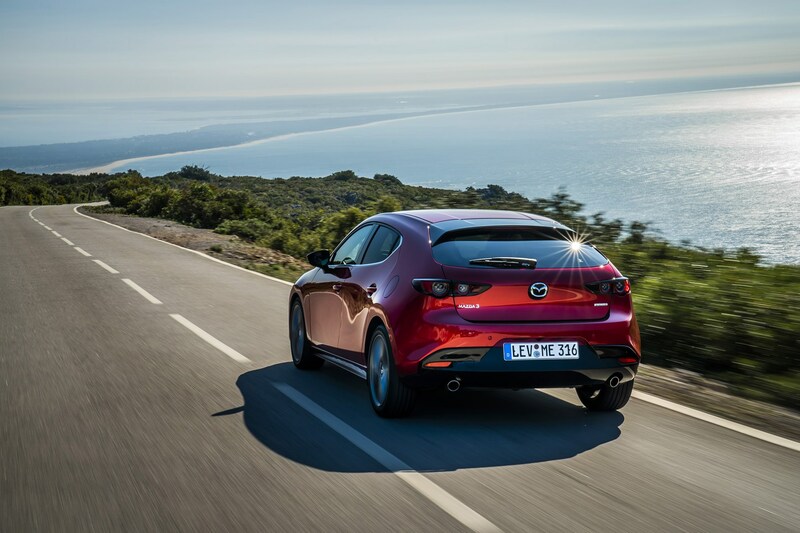 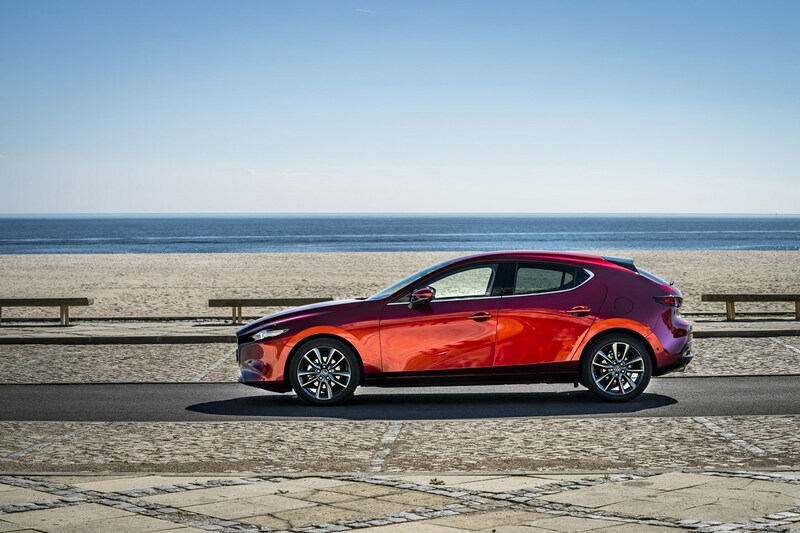 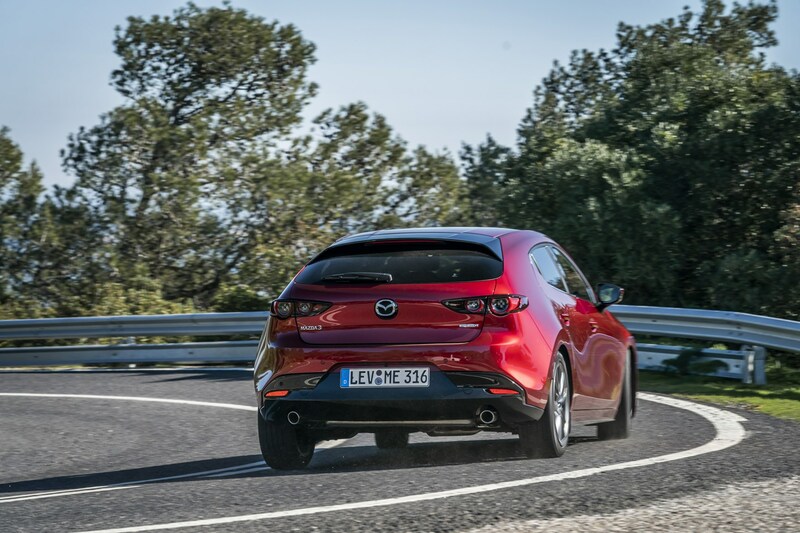 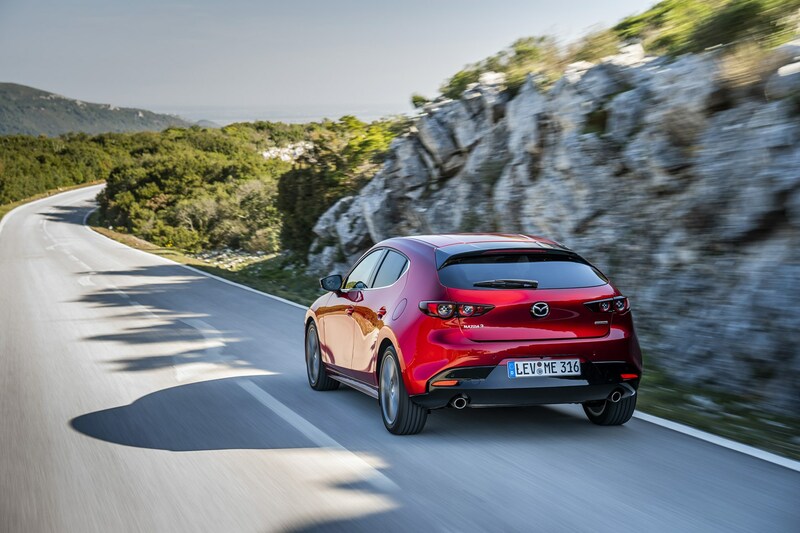 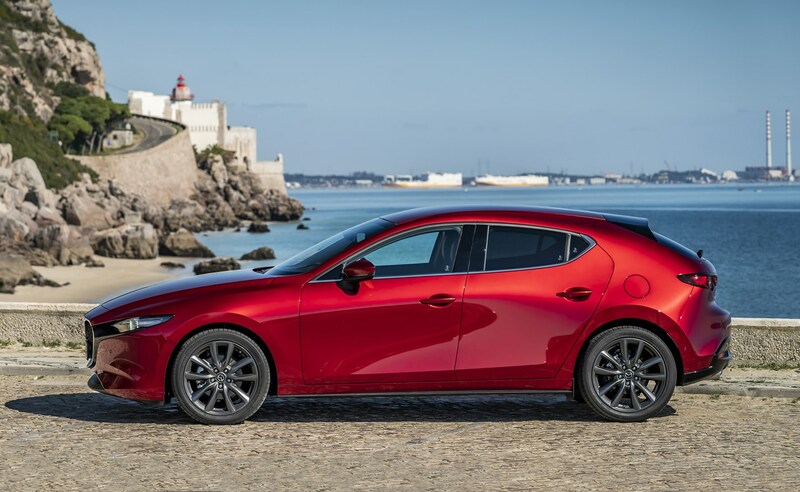 If that Skyactiv-X engine delivers, too, it’ll appeal on an even more sensible level, too. 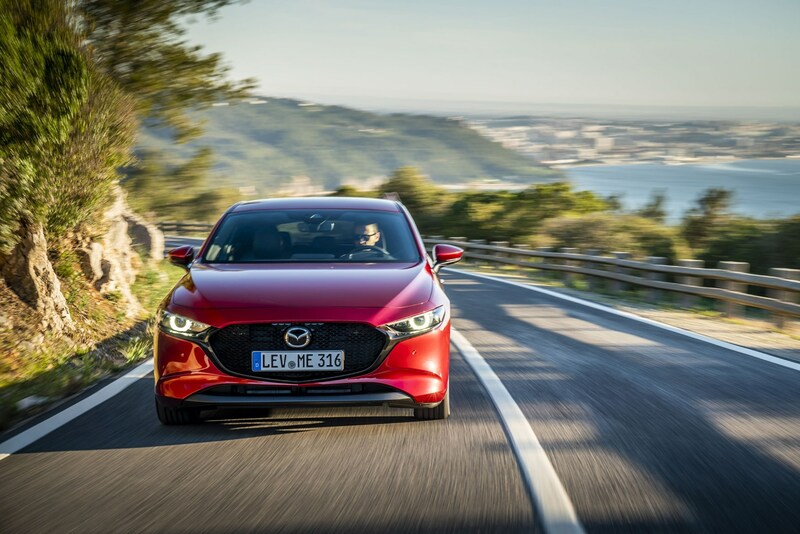 The 3 isn’t devoid of any of the technology of its rivals, either, as it has an equipment list some entry-level rivals will be rather envious of.